Whether you’re looking for the perfect beach read or a rare antique, Pasadena is filled with charming boutiques and renowned flea markets that make for a one-of-a-kind shopping experience. Here’s a look at some of The Agency’s favorites. GOLD BUG - A virtual wunderkammer of distinctive art pieces, handmade jewelry and creative taxidermy (if you’re into that kind of thing) this family-owned Pasadena gallery is the perfect place to pick up that gift for the friend who has everything. Borrowing its name from Edgar Allen Poe’s short story “The Gold Bug,” the shop boasts a curated, museum atmosphere with a “neo-victorian” point of view. 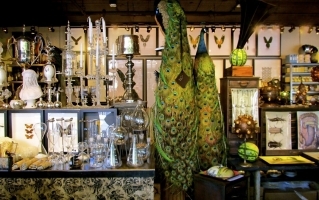 Shoppers are encouraged to browse and visit often, as the shop’s one-of-a-kind creations rotate on a daily basis. 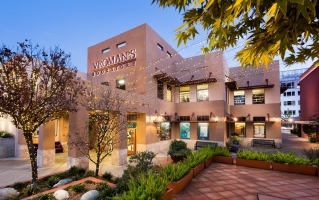 VROMAN’S BOOKSTORE - The oldest and largest indie bookstore in Southern California (established in 1894), Vroman’s is a book worm’s paradise—whether you’re looking for a solid beach read, the perfect true crime thriller or a storied classic. Grab a coffee at the cafe, run by local roaster Jones Coffee, while the kids peruse the children’s section, complete with a play space, or stop by in the evening for one of the shop’s big-name author signings, which have played host to the likes of Joan Didion and David Sedaris. 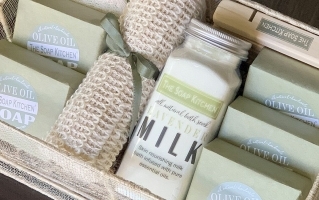 THE SOAP KITCHEN - This local soap purveyor is a one-stop-shop for all things wonderful-smelling. Free of parabens, sulfates and synthetic fragrances, the shop’s assortment of natural soaps, candles and bath products has earned a cult following. From rosemary lavender shampoo and “California’s Gold” bars to shaving essentials for men, it’s the perfect place to pick up some elevated necessities. 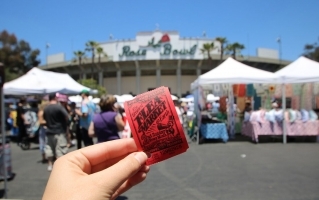 ROSEBOWL FLEA MARKET - If a stadium’s big enough for a Beyonce concert, it’s gotta boast some major square footage. 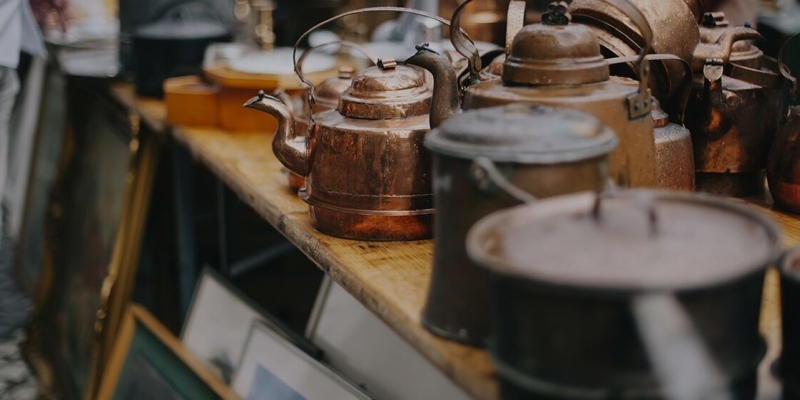 Every second Sunday of the month, treasure hunters from around the county descend upon Pasadena’s world-famous Rosebowl Stadium in search of collectable midcentury furniture, vintage clothes, rare vinyl records and more. Due to the market’s overwhelming popularity, it now offers a tiered entry system, granting early access to serious shoppers—at a premium. COZY STYLISH CHIC - When Southern California-based interior designer Jeanne K. Chung realized there was nowhere in Pasadena for the design-savvy consumer to shop without traveling across town, she decided to open a space of her own. Priding herself on offering a collection that reflects the best of the past and what’s currently trending in the market, Chung’s Old Town shop is an exotic assemblage of vintage and modern, shabby and chic. 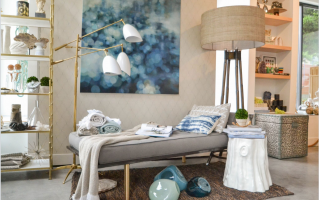 From custom bedding to fine furnishings, it’s become a go-to destination for savvy buyers and professional designers seeking unique pieces for their own interior design projects.